The Rack of Silence fra Solid Tech har blitt utviklet for å kunne tilby det absolutt beste Hi-End møblet. Dagens High-End utstyr krever full resonanskontroll for å yte sitt beste. Solid Tech vil kunne tilby et hvilket som helst anlegg full rettferdighet. ROS kan tilpasses fra 1 hylles mono-stand til ROS 4 Reference. I tillegg til standard modellene har ROS et utvalg spesialløsninger, som gjør produktet til noe helt for seg selv. Ta kontakt. .. the sonic qualities introduced by it are outstanding. In conclusion, we have to confess that we really like the simplicity and flexibility offered by this Solid Tech Radius design and the sonic qualities introduced by it are outstanding. Many far more expensive racks look more impressive perhaps but cannot meet its sonic improvements. In combination with some of the ingenious IsoClear footers, the Radius seems damn hard to beat at its price. Hence we nominate it for a Blue Moon Award for Applied Right of Springs. Men en sak är säker: båda möblerna för- bättrar ljudkvaliteten markant jämfört med bil- liga stereomöbler, som definitivt inte hör hem- ma i en High End-anläggning! 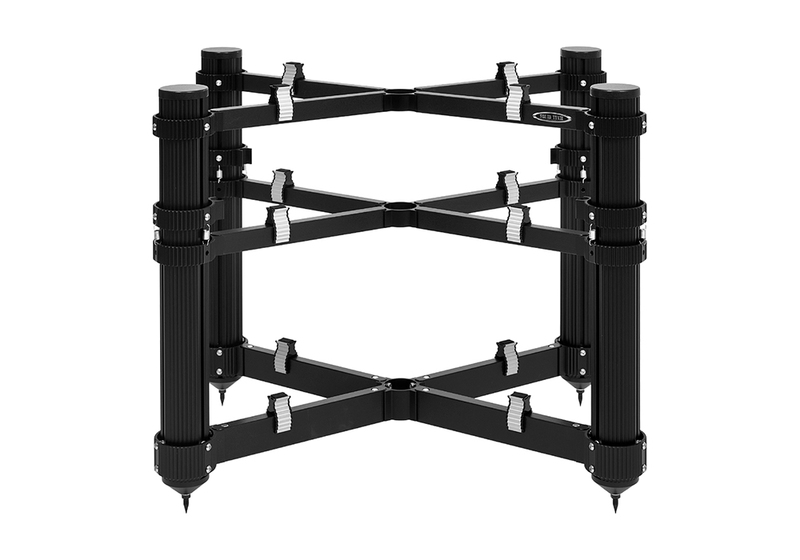 Used with or without the Feet Of Silence, it brought improvements beyond what my other racks offered, improvements that I wouldn’t want to be without.